Mumbai: Sulekha is one of India’s largest and fastest-growing digital business and consumer brands that has transformed local services ecosystem through a powerful need fulfillment and monetization platform that generates qualified, parameterized leads to a vast number of local SMBs in 40 cities. 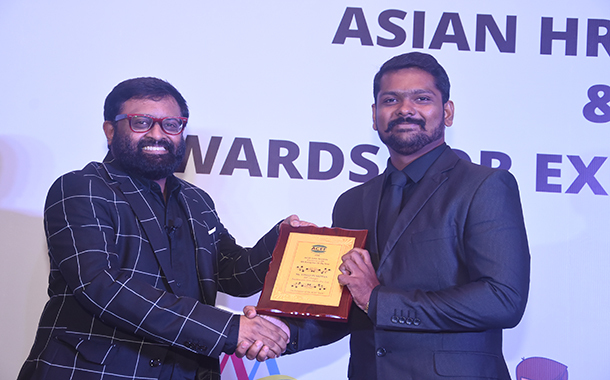 Commenting on the recent wins, Vinod Pushppan, Senior HR Manager, Sulekha.com, said the award is a symbol of blessings & return towards his attempt/tasks. He dedicated the award to everyone who has always been part of his journey, from family to friends, from boss to teammates, from guides to well-wishers and everyone. He feels that working with great people always allow others to bring the best in them and encourage to further reset their limits to the extreme. ACEF Founded in 2012-13, the ACEF program is organized by a team of professionals from India, Sri Lanka and UAE and is guided by the Advisory Members from Branding, Marketing and Creative Agencies based in India, US, Australia, Singapore, UAE and Sri Lanka. Their programs are focused on Customer Engagement Activities, Branding, Marketing, CSR, Rural Marketing, Properties (Hospitality & Real Estate), HR and are planned for India, Sri Lanka, GCC Continent and Asia Pacific Regions.